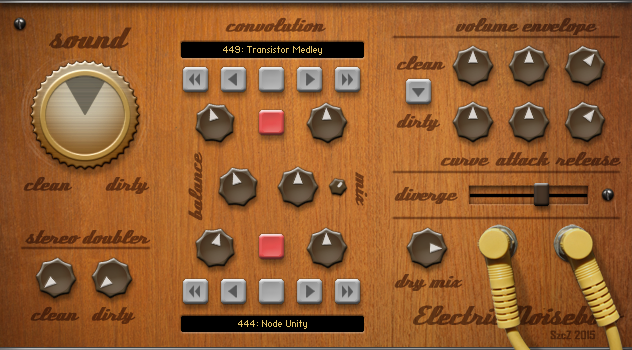 Electric Noisebow is imaginary virtual instrument for Kontakt sampler. It can generate drone sounds, noise soundscapes, ambient atmospheres or unfolding distortions. 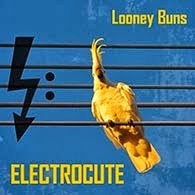 It is based on two sample sets I made by playing modified Reno electric guitar with an E-Bow. 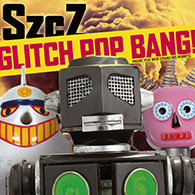 The clean set is built of sustained tone samples. The dirty set contains distorted sounds, I've got by putting the E-Bow very close to the vibrating string, so the string would start to collide with E-Bow housing. I edited all samples by hand to get more or less seamless loops, which are rather lengthy. Especially noise loops which span for 20-30 seconds. The instrument has double convolution reverb unit, which can be used to sweep between reverb and sound types. There is note doubler and round robin mechanism synchronized with transport position, so used in a project, the instrument should render repeatable results. 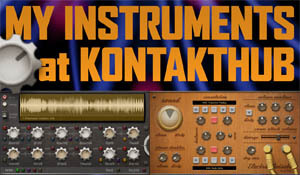 The instrument is available at Kontakt Hub. Note, that it requires full version of Native Instruments Kontakt 4.2 or newer to work. There are 36 WAV samples, 88,2 kHz, 24 bit and the whole instrument takes about 220MB or drive space. The electric guitar instrument has double convolution re verb unit, which can be used to sweep between re verb and sound types. This instrument has double convolution reverb system, which can be helpful to sweep between reverb in addition to sound types. There is usually note doubler and around robin mechanism synchronized having transport position, so utilised in a project, the musical instrument should render repeatable effects. The particular grubby collection is made up of altered appears, We've acquired by means of positioning the particular E-Bow quite nearby the vibrating sequence, to ensure the sequence would likely will battle having E-Bow housing. My spouse and i edited all samples by hand to get additional or maybe fewer smooth loops, which are usually quite very long. Looking for the professional electricians for repairing services in your home then, Vuta Electrical is the Residential Electrician Springfield Mo provides the best electronics services. Great post. Thanks for sharing the post on instruments. For planning an event you should visit Microphone Hire Melbourne who provides the staging equipment on rental services. Nice article, Which you have shared here about the Electric Noisebow. Your article is very interesting and I really enjoyed reading it. If anyone interested to know more about the test and tagging equipment, adelaidetestandtagging is good for you.